National Aviation University (Національний авіаційний університет; Natsionalnyi aviatsiinyi universytet). A technical institution of higher education in Kyiv. Formed in 1933 out of a department at the Kyiv Polytechnical Institute, until 1947 it was known as the Kyiv Aviation Institute, then as the Kyiv Institute of the Civil Air Fleet, and then from 1964 as the Kyiv Institute of Civil Aviation Engineers. 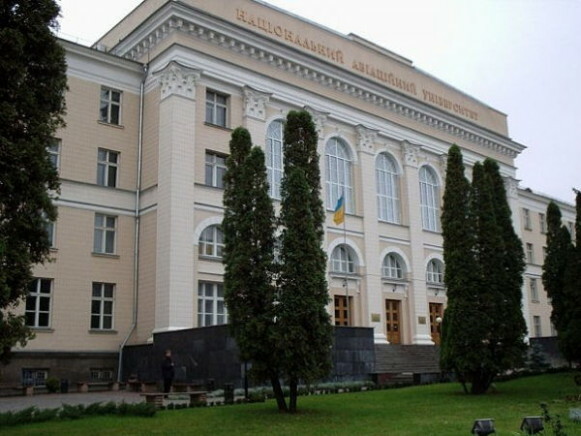 In 1994 the institute was reorganized into the Kyiv International University of Civil Aviation and in 2000 it was granted a national university status and assumed its present name. The university consists of 15 institutes (including air navigation, airport technology, and computer science), 2 faculties, and 15 departments. It has a graduate program, a correspondence school, a professional development program for specialists, and a faculty for foreign students. The university’s library has over 2.5 million volumes. The enrollment is over 50,000 students, including over 1,200 foreign students.